“ASHWAUBENON, Wis. – Anthony Depies has joined engineering and architecture consulting firm Ayres Associates’ municipal group in Green Bay as a project manager. With 34 years of experience with two eastern Wisconsin municipalities, Depies is ready to help municipalities solve their problems. He wore the city engineer hat for 25 years. Depies has experience managing annual street maintenance and utility replacement programs from concept through construction, including complete downtown street renovations. He has experience keeping a wastewater treatment plant operating throughout reconstruction. He managed a harbor/marina project that spurred redevelopment of blighted downtown properties and expansion of an industrial park. He also has experience with the design and construction of a water tower and related water mains. Depies helped plan for major municipal growth through annexation, as well as the design and construction of additions that doubled the size of a public library and city hall. “Our municipal clients can bring their challenges to Tony, knowing that he’s been there, and worked through their same problems,” says Craig Schuh, manager of our Green Bay area engineering services staff. Depies holds a bachelor of science in engineering from the University of Wisconsin-Milwaukee. 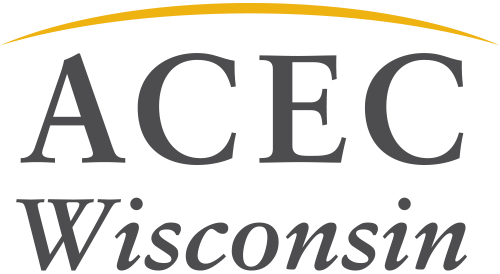 Depies is a member of the American Public Works Association and the American Society of Civil Engineers and is a board member of the Chute Lake Association, actively maintaining and improving the recreational quality of the northeast Wisconsin Lake. Ayres Associates is a multispecialty engineering/architectural consulting firm that has assisted public and private clients since 1959. Our staff of approximately 290 people provides services in transportation, civil, structural, utility, water resources, and river engineering; aerial mapping and imagery; surveying; GIS; environmental science; energy corridors; architecture; landscape architecture; planning; and grant writing and administration. Corporate headquarters are in Eau Claire, Wisconsin.